New building materials consisting of several layers keep heat warm. Houses built from them are much cheaper to maintain than the buildings of the USSR times, built of brick or reinforced concrete panels. This is especially noticeable during the heating season - for a house built of modern materials, the heat carrier will be required significantly less. But after all, nobody is going to demolish most of the old Soviet houses, and many of us live in them. So let's talk today about how to insulate the walls from the inside of such a building or any other building and how to do it correctly. Many professional builders and manufacturers of insulation argue about it hoarsely. Someone says that this event will not do anything, while others object - they say, a good result is obtained when covering the walls of the room with insulating material. But both sides unanimously argue that facade insulation is a much more efficient option than internal wall insulation. And what about us, ordinary residents of panel high-rise buildings, whose thin walls freeze through in winter? After all, the insulation of such a house from the outside is not an easy task, and sometimes it is completely impracticable. After all, there are different situations: for example, close proximity to the elevator shaft or the stairwell. And you can not touch the facades of monuments of architecture, houses in the historic center and those that are decorated with expensive materials. And you will not go against the city authorities, so you have to freeze. You can clarify this situation a little by contacting the State Standards and SNIPs issued after the collapse of the USSR. 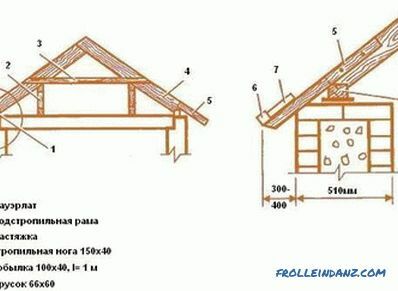 They clearly make it clear that the facade should be insulated, and there should be stone, concrete or brick inside the house. They make up the so-called "cold" layer, which should have a low vapor permeability and good heat. In order to understand why so many experts oppose internal insulation, let us examine in a most detailed way all its shortcomings. Some of them are not particularly significant, but there are those that will make you think about the feasibility of the undertaking. Anyway, knowing the possible consequences, we have to act with great caution. So, what are these unpleasant consequences? 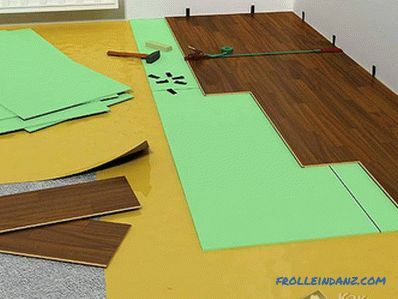 Firstly, the area of ​​the room during plating with a thermal insulator will decrease significantly - this is a fact. For example, having carried out internal warming of walls in a room with an area of ​​20 square meters, we find that there was a shortage of 0.5 to 2 square meters of usable space. It is possible to lay insulation only in a room from which all things are removed or pushed away from the walls. That is, it will be problematic to use this room for some time, and this is not very convenient. Just to sheathe walls with insulation is not an option. It is necessary to provide additional ventilation and measures to protect the heat insulator from condensation. Otherwise, the insulation will quickly fail. By carrying out the insulation according to all the rules, without forgetting anything, you can be surprised to find that it will cost you a lot of money. If you listen to opponents of warming the inside of the walls, you can learn a lot about the unpleasant physical processes taking place inside the insulator. Unfortunately, these are not stories at all, but obvious facts. For example, it is the formation of mold and mildew, the runoff of streams of evaporating water. Such phenomena slowly but surely destroy the interior of the room. And sometimes even the structural elements of the structure can be damaged. But all this happens only when the process of regulating humidity is not properly debugged. In the summer, while it is warm, nothing special happens under the walls. But as soon as the cold weather comes, the air temperature inside the apartment begins to differ sharply from the outside temperature. And here the walls are warmed from the inside can manifest itself in all its glory. The whole force of frost and wind falls on the shoulders of the outer walls, officially called "enclosing structures". The main adversary of the walls insulated from the inside is such harmless ordinary water. Once it freezes, it turns into a strong enemy, sometimes just tearing the walls from the inside and increasing the cracks in the joints. And wet insulation ceases to perform its function of insulation. And as soon as it gets warmer, harmful bacteria and fungi, for which water is life, begin to rage. This unsightly picture is sometimes a wall insulation from the inside, which, however, can be solved, but more on that later. It is possible for some to become unclear why the outside air temperature and humidity of the warmed walls are so closely related to each other. It turns out that water vapor is condensed from the air at a certain temperature.It is called "construction dew point". When this temperature is reached, water droplets - condensate - form on surfaces that are well cooled. Dew point has a floating value, which increases with increasing humidity in the room. If the humidity reaches 100 percent, then the air temperature is equal to the dew point. However, this is slightly approximate - we will not delve into complex formulas. According to sanitary rules for apartments and residential buildings, the air temperature in them should be between 20 and 22 degrees. And the humidity is optimal for living - 55 percent. The dew point under such conditions matters plus 10.7 degrees Celsius. Thus, if one of the layers of the insulated wall has reached such a temperature, condensate will inevitably appear on it. Since in winter we turn on the heating, the walls inside get warm. Fluctuations in outdoor temperature cause the dew point to move inside the walls - the colder it is outside, the farther it is from the facade. Where exactly the dew point is formed depends on several factors. This is the location of the layers of the structure relative to each other, and their thickness. For example, imagine a situation where the wall is not insulated, and the dew point is inside it. Then, when you turn on the thermal imager, you can see on its screen that heat rays emanate from the wall. And no matter how much you heat a room in such a building, it will still be cold in it, as it gives off heat to the outside. If the facade of the building is insulated, the wall is completely heated, it saves precious heat. And the dew point shifts closer to the facade, in the insulating layer. For this reason, ventilated facades were invented - after all, the insulation must be ventilated for drying. Otherwise, he will lose his properties. If the walls are insulated from the inside, in winter the heat-insulating layer does not allow heated air from the room to them. Therefore, bearing walls, freezing to the ground, begin to collapse faster. As a rule, the dew point is located on the inside of the wall, moving with increasing temperature in its middle. In this case, the condensate that has appeared between the heat insulator and the wall, almost nullifies the effect of warming. Frozen water and glue, which is planted insulation, destroys. And then on the wet walls mold thrives, and a fungus appears. No good, in one word. It is difficult to carry out, according to the rules, measures to warm the walls inside. This is done only when it is forbidden to warm the facade, or simply not reach it. Having opened the Code of Rules SP 23-101-2004, which is called “Design of thermal protection of buildings”, we can read that it is strongly not recommended to isolate the inner part of walls for insulation. The reason is that moisture can accumulate in this heat insulating layer. 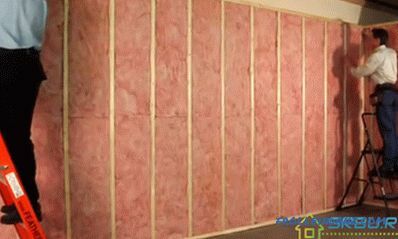 If, however, it is vital and necessary to insulate the wall in the apartment from the inside, then it is necessary to lay a high-quality vapor barrier in a continuous layer, which should be durable and durable. Thus, if we want us to have warm and dry walls, we will try to protect the part where the dew point will be from moisture. What measures for this should be taken? In general, there are not so many of them. 1. The film for vapor barrier is chosen of the highest quality; when it is joined, thorough sealing of all joints is carried out. 2. The heat-insulating material should not have a very high vapor permeability. The lower the better. Ideally, the vapor permeability indicator of the load-bearing wall is greater than that of a heat insulator. In this case, the steam will go out. 3. When gluing insulation, we try to keep it as short as possible from the wall. 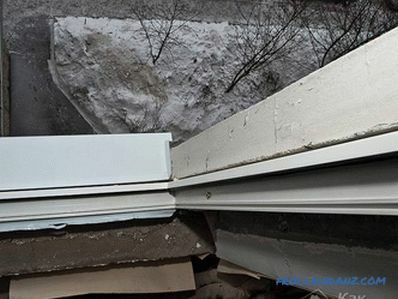 It is not necessary to use the method of "beacons" when gluing it; it is better to apply glue with a comb in order to ensure complete contact of the insulation with the wall. 4. To reduce the humidity in the apartment, mechanical ventilation is used. On the windows put valves. 5. The thickness of the insulating layer for insulation must be carefully calculated, taking into account the characteristics of its climatic zone. It is not recommended to take a heater thinner than this calculated value. 6. Before we warm the walls, we must treat them with a special compound that prevents the appearance of mold and mildew. It is possible to begin to warm only after the walls have dried completely. Elimination of the so-called "cold bridges" is one of the priorities. Indeed, in those places where the load-bearing walls are connected with the ceiling, as well as with the walls inside the building, the insulation will not work. Therefore, it is necessary to impose a heat insulator on these problem areas, applying a vapor barrier.Then they can be disguised with false columns or boxes. Deciding the better to insulate the walls from the inside, most people usually choose mineral wool. It is simply laid inside the drywall construction. Vapor barrier is neglected, work is carried out quickly, the material is cheap, but the result can not please. This method of insulation not only does not bring the desired benefits, but rather, on the contrary, is very harmful. Especially not good if they warm the usual mineral wool in rolls - it has too low coefficient of thermal resistance. Mineral wool lovers say that it "breathes", but this is just bad. Because of these properties, it is not suitable for internal insulation at all. Through the fibers of this material, moisture is quietly selected to the dew point, and then the mineral wool absorbs it. There are, of course, its special varieties, the characteristics of which are similar to expanded polystyrene foam type, but they do not give an absolute guarantee of dryness. Even if you glue this material extremely carefully and with the best glue, take care of high-quality vapor barrier - the risk of moisture will remain. And all this because the vapor permeability of mineral wool is much better than the walls of the building. And all the work goes down the drain, and the money will be thrown to the wind, if in the end there will be muddy drips on the walls. An even more unpleasant consequence is the appearance of the fungus. The inner wall is insulated with pressed mineral wool. 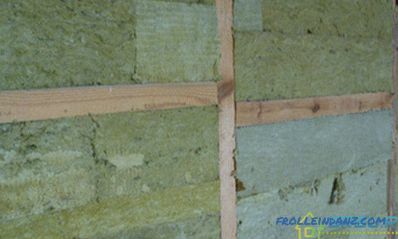 Today this material is considered to be the best insulation for insulating walls from the inside. Pushing aside the traditional warming of the walls with mineral wool from the inside, it is increasingly being used in European countries as well as in Russia. After all, this material has the most suitable properties for insulation. Next we list them. Polystyrene foam conducts heat extremely poorly. It almost does not absorb moisture, and its vapor permeability is very low. This material can easily withstand very substantial loads. He will never hurt either a strong squeeze or a large breaking force. Expanded polystyrene weighs very little and is also easy to handle - it is easily cut with a knife. Therefore, the installation of such plates is not difficult. Thus, if polystyrene foam is used, both foamed and extruded, it is possible to normalize the insulation of the whole structure at the expense of a thin layer. After all, a material that does not absorb water will not only change its properties as a heat insulator. It also will not allow moisture to the dew point, so when using it, you can easily not lay a vapor barrier. Only about the "cold bridges" do not forget. Isolating these places where the slabs are connected to each other and adjoin the walls is simple. Here you can apply polyurethane foam and join the plates with each other and with the wall using it. But you need to apply the foam on the entire surface of the sheet. And for convenience, manufacturers also produce foam plates with a special edge with stepped edges. Due to this, the joints are smooth and tight. It is possible to mount these plates inside the apartment in the same way as on the facade of the building. To do this, use a dowel plate type. In addition, the plates are put on glue. The inner wall is insulated with expanded polystyrene. There is a foam polystyrene and a minus - it is poorly protected from noise. And it can collapse if its temperature exceeds 80 degrees Celsius. But this is not so important in our case, as well as the fact that EPS plates can be dissolved in organic solvents. 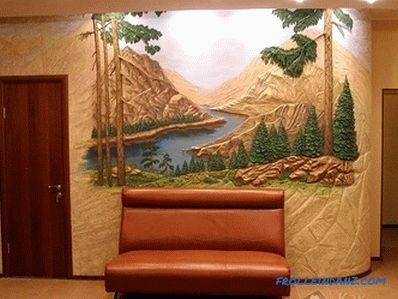 And how to warm the walls of the house from the inside qualitatively and quickly? Surely such a question was asked by many. In this case, the use of polyurethane foam is the best option. This is a wonderful heat insulator. Its thermal conductivity coefficient is 0.025 watts per meter per Kelvin. Sealed polyurethane foam cells are filled with either air or inert gas. Moisture cannot penetrate inside, so this material does not get wet and does not let the water through. And when it is used, no waterproofing is needed. However, these advantages of polyurethane foam as insulation do not end. It is also very convenient to use - because this material does not need to be either glued or mounted inside a special frame. Everything is much simpler - it is sprayed directly onto the wall. The composition consists of two components, which, combining, foamed on the plane of the wall. In a few seconds, the polyurethane foam freezes. When using this method, you can count a lot of advantages. This material has excellent adhesion with almost any surface.He and the ceiling can be sprayed, and "cold bridges" with its help to seal. Polyurethane is so tightly attached to the wall that they are one. Moisture cannot reach where the dew point is. Since the spray coating does not have a single seam and does not form cracks, we are able to insulate the walls of any configuration. Although a round room, even a room with curved corners - all this will cope with polyurethane foam. Since the work is done extremely quickly, and a little material is needed, you can save on shipping and storage. Using a nylon mesh, you can plaster this insulation using the technology of facade finishing. Research is underway, every year all new building materials are produced. Some can be used for internal insulation of apartments. Sometimes manufacturers so praise a new tool, with might and main trumpeting its merits. And about the shortcomings they modestly silent. We give examples. Warm plaster - it looks spectacular, but it is hygroscopic and has too good vapor permeability. In addition, it retains heat much worse than foam-type materials. Foamed polyethylene with a foil coating is able to keep warm well. But it is quite complicated to install. The fact is that when it is used between the wall and this material should remain an air gap. And on top, under the lining, also need to provide a gap. Even many professionals cannot do everything perfectly. A millimeter layer of heat insulator made of liquid ceramics is equivalent to five centimeters of a mineral wool. This material is a set of bubbles with air inside. Thermal conductivity of ceramics ranges from 0.8 to 0.15, and air - 0.025 watts per meter per Kelvin. Where did the manufacturers take this coefficient of 0.0016 for liquid ceramics? Looks like a bluff. 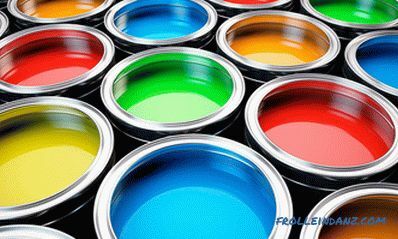 The little studied material called “thermal paint” may be good, but there are examples when nothing good has happened with its use. We'll see next. So, we found out whether it is possible to insulate the walls from the inside and how to do it correctly. Then we chose the material that suits us the most. It remains an important matter - the calculation of the required thickness of the insulator. R = 0.5 / 0.47 = 1.06 square meters-degree Celsius per watt. In Moscow and the Moscow region, the standard value of this indicator is 3.15 or more. We calculate the difference, which amounted to 2.09 square meters-degree Celsius per watt. This difference should be compensated by wall insulation. D = 0.042 ∗ 2.09 = 0.087 meters, otherwise, 8.7 centimeters. It is better to take with a margin - 10 centimeters, then the dew point will definitely be inside the insulator.